NEW Kem Alpha Playing Cards (Green/Brown) - Only Available from Kardwell International! 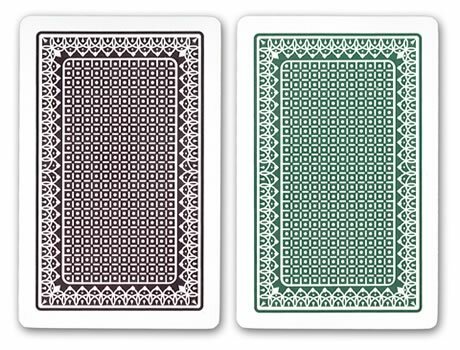 Each two-deck set of Kem Alpha Playing Cards contains one green and one brown deck of Playing Cards. Kem Alpha Playing Card Sets come nicely packaged in sturdy black plastic storage boxes.